“I want to give good quality products with love and passion, it brings good tidings and happy vibes to everyone,” she adds. Rich fruits soaked in dark rum and honeyed brandy, tassies made with jaggery and dates, kalkals and rose cookies fried a beautiful golden hue, it’s the time to make the Christmas season a taste trail of flavours. Be it restaurants and hotels that are giving their customers the best spread of X’mas goodies, or bakeries, home bakers and chains that are sprucing up their menu to add some mistletoe magic with some diet conscious spreads too. There’s mulled wine to be sipped on in the chill of the wintery evening, as the welcome aroma of cinnamon, cloves and orange waft through the air, there are Christmas markets where you can take your pick of plum cake, kal-kals and fudge… or you can hop to your neighbourhood gourmet supermarket for a selection of pies, cakes and wines. says Suruchi Kapur Gomes. There is so much more in her bag of Christmas goodies. “They are all hand me down recipes from my late mum. As a child, I learnt to bake on a kerosene stove. Companies like A&Z bank, KGA, KCA have placed orders. This Christmas, I have made over 40 items. Earlier I used to make roasts, Goan sorpotel, etc. Now, it’s Christmas cake and pudding, wines and liquors - Baileys Irish Cream, Tia Maria, Strawberry Liquer, mulled wine, egg-nog and rose apple wine. I even make Marshmallows, coconut sweets, different types of fudge - Jack Daniel and Baileys, walnut brownies, Nueries with desiccated coconut and plum (a Goan sweet), lots of chocolates, exotic fruit dipped in chocolate, liquer chocolates,” Selena says. For children, in this season of merrymaking, she makes a special gingerbread man, vanilla butter cookies, which like a veritable Santa elf herself, albeit more portly, she shapes into trees and snowflakes. The former advertising executive has begun her next year’s round already and says that the kal-kals she makes are small, soft and buttery. “Everything should be good quality and taste home-made. A lot of people order my roasts, as I brighten up their tables! I just want the season to be joyful,” she adds. Her cakes cost Rs 1,200 and fudge Rs 800. Jean-Philippe Gisclard is a food scientist, and master baker. Known to city restaurants for the cakes, buns, bread and other products he supplies, the quality and attention to detail is prime. So when he and his partner launched Bon and Bread, an artisan baking collection, it was only time before everyone wanted their ragi and sourdough breads, buttery croissants or creamy cheese cakes. The thorough and perfectionist Frenchman is ready with the Bon and Bread artisan Christmas cheer collection. 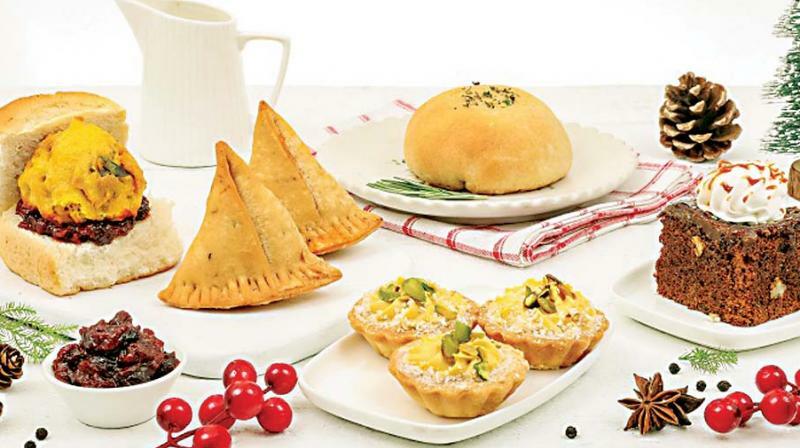 “This season we have focused on some traditional bakes with a couple of new recipes. The Christmas plum cake, mince pies, angel cake, mawa cake (made with traditional khova), chocolate and butter croissants, brownies are always on demand. We have also introduced cherry brownie muffins, Christmas cake muffins, gluten free chocolate muffins and blueberry muffins. While Christmas is a season of indulgence, there are very few diet-specific goodies in the market. Bon and Bread products are a blend of high-on-taste, healthy artisan bakes and cakes. As the city is a fairly evolved market, we are constantly exploring different ingredients and flavours,” says Jean-Philippe Gisclard. Chef Varun Pereira lays out a spread of Empanadas, Cannelloni, Shepherd’s Pie, Loaf, Risotto, Meatballs, Bangers, Wellington, Steamed Mussels, Ballotine, and grilled Scampi. With Grape Sour, Mulled Wine, Cardinale, Figo, Eggnog, Spiced Applie Pie, and Plum Raisin Affair. Bene offers roast chicken, plum cake and lots of Christmas desserts. They have a Jungle Bell Brunch at FEAST on Sunday 16th Dec |Winter Brunch on Sunday 23rd Dec |Christmas Eve Dinner on Monday 24th Dec | Christmas Brunch on Tuesday 25th Dec.
Make your Christmas 'merrier' and go Asian with some Pho chicken, Spicy Shrimp Cake, with an 'Oven Roasted Turkey' and Yuzu Cheesecake on 23, 24, and 25. Sunny’s famed Christmas lunch is legendary. Specially curated by founder and owner Arjun Sajnani who goes to great lengths to spread festive feeling. And this Christmas is no different. So there is a huge spread that people can partake of. “Our turkey cannot be matched. This year our spread includes a quinoa bean salad, a Canoli and strawberry ricotta tart. We also make our own fresh cranberry sauce,” says Sajnani. The menu, a course meal with crumb fried goat cheese, arugula and melon salad among starters, has mains like his famed turkey with trimmings, pan-roasted sea bass with lemon beurre blanc, duck breast provencal, medallion of beef in gorgonzola sauce, grilled tuna steak among the offerings. And for dessert, the famed pumpkin pie and Christmas pudding sounds just the sugar high you need to make it worth your while. Chef Saurabh Arora, city chef, Smoke House Deli and Social is also going traditional menu but with an Indian twist. “The Goan Bebinca Yuletide Special is not your regular plum cake but blends chocolate and coconut bebinca with tender coconut ice cream. The Santa ki Shammi, a mutton shammi kebab is crusted with rum-soaked fruits, served with a walnut chutney. The Chili Pork for the Chills, combines Naga chilli pork ribs with maple and orange flavours,” he explains. The focus is on celebrating local produce as well, winter root vegetables glazed beautifully in the oven. 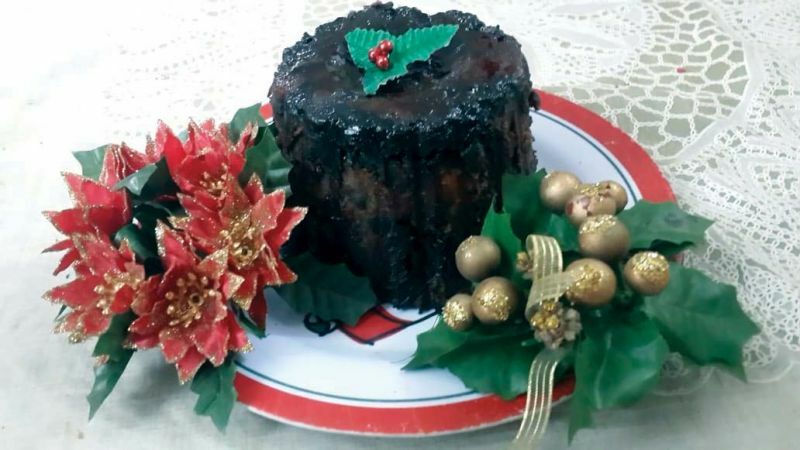 Crusted chicken served with a red wine velouté, or the classic Christmas yule log. Even chains like Coffee Day are trying to spread the cheer, be it their Creamy Hot Chocolate - or cold chocolate. Christmas mornings will be incomplete without the Gourmet Belgian Hot Chocolate or go traditional in desi style with their Fans of filter coffee are in for a treat again, but this time with a twist of Indian jaggery Jaggery Filter Coffee or the Inverted Cappuccino with Jaggery. For the Christmas Edition, Sarah brings a twist to Samosa and Vadapav by infusing western Christmas flavours like meat (chicken) fillings and cranberry chutney. She has also created a lip-smacking variation of the traditional Shepherd’s Pie, using Paneer and Chicken Rogan Josh as fillings. “For desserts, there is Sticky Caramel Toffee Pudding along with Mango and Coconut Tart,” adds Srivats.